Hounded by skeptics, he says he regretted calling '89 discovery "cold fusion." 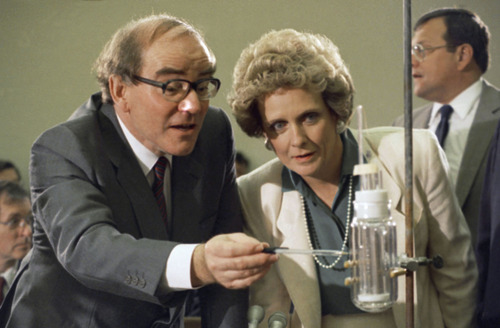 Martin Fleischmann, a British chemist who together with Stanley Pons, then chairman of the University of Utah Chemistry Department, announced in 1989 that they had discovered "cold fusion," has died. Fleischmann, 85, passed away on Aug. 3 at his home in Tisbury, U.K. Steven B. Krivit, senior editor at New Energy Times News Service and author of The Rebirth of Cold Fusion, reported that Fleischmann had been bedridden for several months from health problems that included Parkinson's, heart disease and diabetes. Prior to joining forces with Pons, Fleischmann had distinguished himself as an electrochemist. From 1967 to 1983, he was a professor and then, at age 40, chairman of the electrochemistry department at the University of Southhampton. He received the Royal Society of Chemistry's medal for electrochemistry and thermodynamics in 1979, the Olin-Palladium Medal from the U.S. Electrochemical Society in 1985, and the Bruno Beyer award from the Royal Australian Chemical Society in 1988. 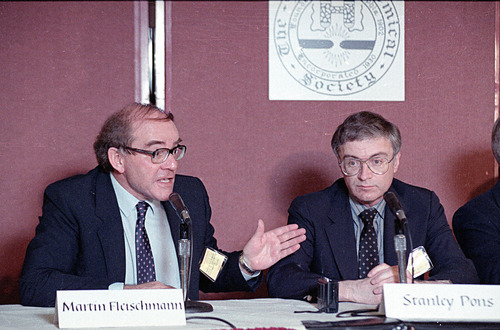 In 1983, Fleischmann returned to research and also took a part-time research position at the U. 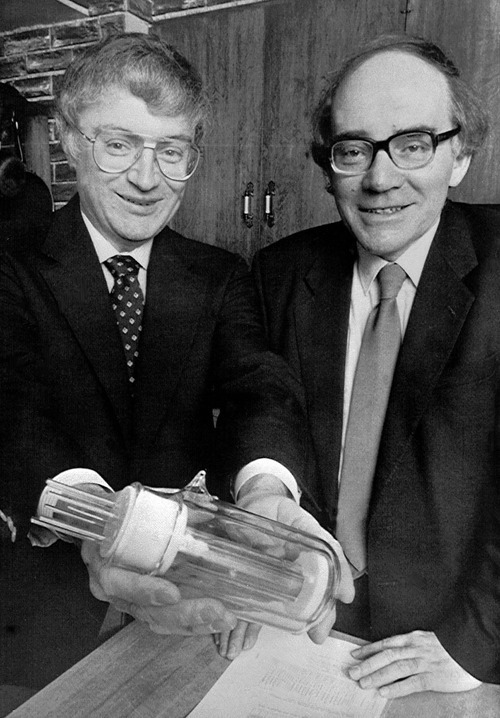 On March 23, 1989, Pons and Fleischmann announced during a press conference at the U. that they had created a sustained nuclear fusion reaction, the process that powers the sun, at room temperature using a table-top, test tube device by running a few volts of deuterium-enriched water into a metal called palladium. In a press release issued at the time, Fleischmann said they had opened "the door of a new research area" on a "usable technology for generating heat and power." The announcement generated headlines around the world and led General Electric Corp. to enter a collaborative agreement with the U. for further research. That summer the Utah State Legislature earmarked $5 million for the scientists to set up a nonprofit called the National Cold Fusion Institute to support their work. Pons' and Fleischmann's reported finding, which promised an unlimited supply of clean energy, was met with skepticism by other scientists who set about trying to replicate their results without success and later widely discredited the claim. 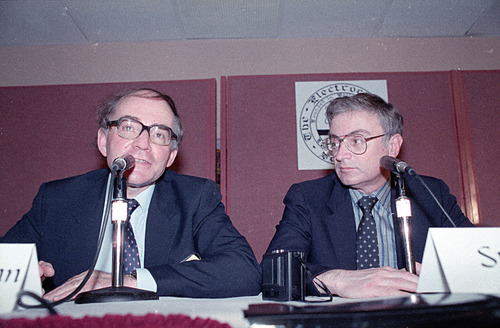 In October 1990, Fleischmann defended the ongoing work, telling The New York Times they had made "great advances," though the politics surrounding the duo were "another matter. As my wife says, they are a nightmare." Cold fusion remains unproven, although more recent work has shown the reaction to be a "third kind of nuclear process called weak interactions," Krivit said in a telephone interview Monday from Marin, Calif. "Even though it's not fusion, it still has the full promise and potential capability of what Martin and Stan had envisioned." According to Krivit, Fleischmann said in a June 2009 interview that he "regretted calling the discovery 'cold fusion.'" The episode was a "burden he bore for the rest of his life," Krivit said. "He knew it was going to be bad news for him even before the press conference," Krivit said. "He knew how controversial it would be and he knew how unfriendly the reception would be. He knew it was heretical…and he knew what happened to heretics." Gary Taubes wrote a 500-page book about cold fusion called Bad Science that examined how science and academic politics collided in the premature announcement. Taubes, who now lives in Berkeley, Calif., said in a telephone interview that "if anyone was aware of what was going to happen with that announcement, it was Martin Fleischmann." Fleischmann was a "good scientist who got trapped in a very bad situation," said Taubes. Pat Shea, a Salt Lake City attorney who represented the two scientists during the controversy, said Fleischmann also told him that he regretted the discovery wasn't more cautiously vetted in a peer-reviewed publication "as opposed to being rushed into a public announcement." "There was a big concern by leadership of the U. that if they waited, BYU or some other institution would take center stage," Shea said. Chase Peterson, who was president of the U. at the time, said Monday the value of the research remains to be determined. "What he did is still so poorly understood," said Peterson, who later came under fire for authorizing the transfer of university research funds to the National Cold Fusion Institute that were initially described as coming from an anonymous donor. "He and his partner Stan Pons made a large contribution to understanding a new mechanism for heat production. It is not widely accepted, but at the same time there have been dozens and dozens of laboratories that have confirmed it," Peterson said. "But it will probably take a number of years still to see if it can be applied commercially and to understand what the mechanisms are. It may turn out to be simply interesting science or it may turn out to be critically important science." When the institute at the U. fizzled, Pons and Fleischmann moved to the south of France to work in a laboratory sponsored by Toyota Corp. That effort ended in the mid-1990s, Krivit said. From that point on, Pons remained "out of view and uninvolved," while Fleischmann continued to be "peripherally" involved in ongoing cold fusion research. Shea said Fleischmann, whom he last spoke to a decade ago, represented the best in academic scientists because he looked not just at the theoretical, but the application of science. "He was truly a gentleman," Shea said, adding that to date, no one has disproven the two scientists' work. "They've not been able to prove it, but nobody has disproven it in terms of saying there isn't something worthy of research," he said. As for Fleischmann, Krivit said he leaves a legacy of courage and of pure science. "He was a true scientist and, for people who are willing to learn, he offered us an opportunity to learn how new science takes place and the way we look at, think about and react to new scientific discoveries," Krivit said.